Ibogaine treatment has demonstrated great ability to help people beat various types of drug addictions. This treatment is derived from a traditional African herb known as the iboga shrub. In an ibogaine treatment center, the herb is used to fight opiate addictions. Today, scientists and researchers are studying the long-term effects of this drug to learn more about its impacts on the human mind and body. 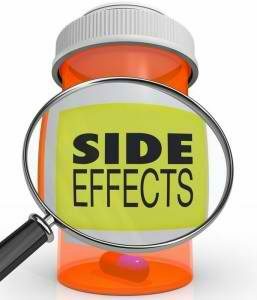 At present, little is known about how it relieves drug addictions, but the typical side effects of the drug are widely recorded. This article gives a general overview of ibogaine implications in the human body and mind. While iboga effects vary from one individual to another depending on the dose, some effects are usually widespread in most cases. For instance, the onset of the first phase may occur between half an hour and two hours after the administration of ibogaine. Once the drug is administered, the body will start to experience a slow but steady relief. For opiate addicts, they may begin to experience up to 100% relief from symptoms of withdrawal. However, the drug may also cause side effects such buzzing and hallucination even though this may not last for long. Sometimes, patients may also experience loss of voluntary muscle control or ataxia. If a patient experiences this condition, he should be assisted when moving around. Furthermore, the patient may also experience low-grade hallucinations. In other cases, patients may feel anxious, stressed, although this condition is considered normal during treatment with psychedelic drugs. During the second stage, many patients will experience physical heaviness that may be accompanied by loss of voluntary muscle control. Other patients may also suffer from nausea which can be relieved by keeping the head still. During this phase, the treatment effects may become stronger, and the patients may become confused. Other ibogaine side effects may include mild cardiac arrhythmia, vomiting, and difficulties in moving. Thus, the treatment should be monitored by a team of doctors and specialists especially during this “peak” experience. During this stage, the patient will start to regain control over his body, recovering from side effects such as vomiting and nausea. However, the patient may experience headaches due to dehydration. Thus, the patient should take plenty of liquids to compensate lost fluids. Moreover, the patient may tend to sleep for a shorter time during this stage although some may sit impatiently. Other will start to regain their visual experience, sorting out their personal issues that led them to indulge in drugs. However, some patients may experience a “Gray Day” where he may feel negative emotions such sadness, depression and intellectual self-abuse. At the end of the day, it is important to understand that most of these effects will depend on the initial intention of the treatment and the amount of planning and effort that is put into the lifestyle change to assist the patient. If you want to use the iboga drug to treat addiction, you need to know where to get ibogaine because this is not available in the US. You can contact treatment centers in Mexico to know how to get started.